The maid of honour, typically, has a lot of responsibility in the run up to the wedding surrounding planning and organisation. 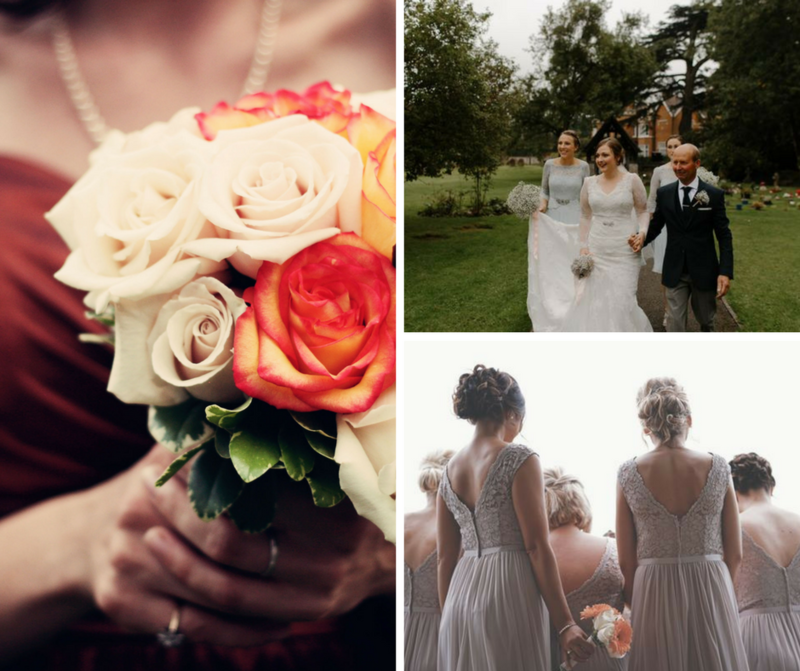 - Firstly, it’s the responsibility of the maid of honour to make sure all members of the bridal party are organised regarding their dresses, their fittings, hair and makeup trials, and the itinerary of the big day. This duty takes some of the worries off the bride and helps to ensure the wedding day goes smoothly. - Listen to the bride! Being someone the bride can talk to (or vent and gush to) is another duty of the maid of honour. Meaning that it’s your job to be a pillar of support, a source of ideas and suggestions, and a catalyst for the changes she may want! - Say yes to the dress! The maid of honour plays a major role in helping to shop for the brides and bridesmaids dresses. Remember, it is tradition for the maid of honour to purchase her own dress and shoes. - Being hands on if needs be is part of the responsibility that comes with this role. It’s the maid of honours duty to help carry out jobs such as addressing the invitations, choosing the colour scheme, and making wedding favours! - The hen do! One of the most exciting parts of being the maid of honour is organising the hen do; however, a lot of planning is required! Two top tips to consider are, firstly, make sure the hen do is within everyone’s budget (even though a trip to Vegas sounds amazing it might not be feasible for everyone) and, secondly, try schedule it prior to three months before the ceremony (this gives plenty of time for any bumps and scrapes to be healed in time for the big day). Check out this blog for some ideas. - Bridal shower planning is also something the maid of honour needs to consider and organise! Bridal showers are a fab way to allow elder or more mature members of the bridal party to celebrate without going wild at the hen do! Afternoon tea is the perfect setting for a classy bridal shower that the all guests will enjoy. - On the day before the wedding, it’s important for the maid of honour to check if there’s any last minute jobs such as picking up any rentals or helping to set up the reception room in time for the big day! - Making up some wedding emergency kits for the bride and bridesmaids is definitely something the maid of honour should consider! Plasters, chalk (to amend any stains), lip gloss, bobby pins, and paracetamol are great things to include. For some more ideas of fab things to include check out this article. - If the maid of honour is planning on staying with the bride on the night before the wedding it’s a good idea for the maid of honour to organise a relaxing evening pack! Tasty snacks, champagne, and DVD’s (maybe the film Maid of Honour??? )are the perfect way to chill out and calm any nerves before the big day! - On the wedding day it’s the maid of honours duty to help the brides and bridesmaids get ready. It’s a good idea to check everyone’s hair and make up to make sure all the photos will look perfect. - A small but important responsibility is holding the brides bouquets during the ceremony whilst she’s saying her vows. - It’s official! After the ceremony, alongside the groom, the maid of honour typically signs the marriage license as a witness. - Get your dancing shoes on! Traditionally, as the first dance sequence begins the maid of honour dances the best man. This dance usually takes place just after the bride and grooms first dance. - It’s a really good idea for the maid of honour to keep a list of all the gifts given and who they’re from in order to help keep everything organised for the bride when she’s going through them after the wedding! There’s nothing worse than confusion about who gave what so this really helps. - If the bride is following tradition and going straight from the reception to the honeymoon the maid of honour needs to help her get organised! It’s up to you to help her out of her wedding dress, into something more comfy, and then to look after the dress (if the bride hasn’t arranged something else) until she’s back from the honeymoon. Finally, the most important of all of the maid of honours duties is to make sure the bride (and you) have fun! This is a very special day for someone very close to your heart so make sure you both enjoy as much of every minute as you can. Stay calm, be positive, and keep laughing!